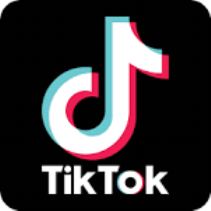 Is It Right To Ban Tik Tok? 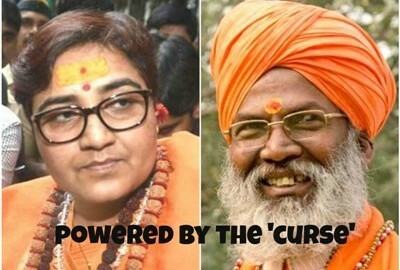 Pragya Thakur, Malegaon blasts accused and BJP candidate from Bhopal, says police officer Hemant Karkare of anti-terror squad, tortured her in jail and was killed in the 26/11 operations due to her "curse"
indiacommentary.com is committed to your right to privacy and to keeping your personal information secure. Hence, we are fully disclosing our privacy practices. We encourage you to read our privacy statement to understand what types of personally identifiable information we collect and how we use this information. indiacommentary.com only collects the necessary personally identifiable information in order to respond to your requests for our customized products and services. Personally identifiable information includes, but is not limited to, first and last name, physical address, e-mail address, phone number, birth date, and any other information that itself identifies or when tied to the above information, may identify you as a specific individual. We do not collect personally identifiable information about you except when you specifically and knowingly provide it. The site and its service partners use your personally identifiable information to operate the sites and services and to inform you of new features, services, and products from indiacommentary.com and its affiliates. We may also carefully select other companies to send you information about their products or services which are related to the site’s service but are not necessary to its operation (an “Extended Service”). If we intend to use personally identifiable information for an Extended Service, the site will provide you with the ability and requisite instructions to decline this service. You may also stop the delivery of informational or promotional mail from us or our associate sites by following the instructions on the mail. While browsing through the Website, the Website server may automatically record some general information about Users’ visit, such as the date and time of visiting the Websites, the IP address being used, the type of browser being used etc. Such General Information collected is not Personal Information and the Website’s server does not link such General Information with the Personal Information furnished by the User. We reserve the right to use General Information collected by it for any purpose whatsoever including statistical analysis, marketing and promotional purposes. Consequently, we may share such General Information or any analysis with any person, at its sole discretion. When a User visits the Website, one or more cookies will be sent to the computer or the device being used by the User. The Cookies are used to improve the quality of the Website, including for storing User preferences, improving search results and tracking User trends. The User has the option of disabling cookies via their browser preferences. However, Users are advised and made aware that if they disable cookies on their browser, some parts of Website may not function as effectively. We may disclose personally identifiable information if required to do so by law or in the good-faith belief that such action is necessary to (i) conform to the edicts of the law or comply with legal process served on the site or its owners; (ii) protect and defend the rights or property of the site-owners, the site or the users, and (iii) act under exigent circumstances to protect the personal safety of users, the site, its owners, or the public. Our site contains links to other websites. We are not responsible for the privacy practices or the content of such websites. If at any time you believe that the site or its users/members have not adhered to these principles, please notify us by e-mail at privacy@indiacommentary.com and we will use all commercially reasonable efforts to promptly determine and correct the problem. © 2014 India Commentary. All rights reserved. Powered by Drisyayon Educater Pvt. Ltd.